Save the animals in Fizzball! Everyone has fled the islands; there isn't a person in sight! But they left all the animals behind. Who will feed them? And who will find out what scared all the people away? Well, Professor Fizzwizzle, of course! 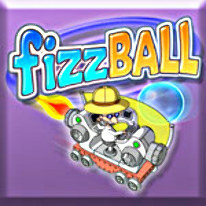 Bounce bubbles, rescue and feed the abandoned animals, and solve a mystery-all at the same time, in FizzBall!